I’m afraid there has been little to write about in the last few weeks as I have been pretty busy. However I was lucky enough to spend two days in Paris with work last week. And I managed to grab a couple of hours in the Montmartre area – where all the fabric shops are – which made my trip. I’ve seen the Eiffel, seen the Arc de Triomphe, seen the outside of the Louvre (actually one day when I do have time, I will go in!) 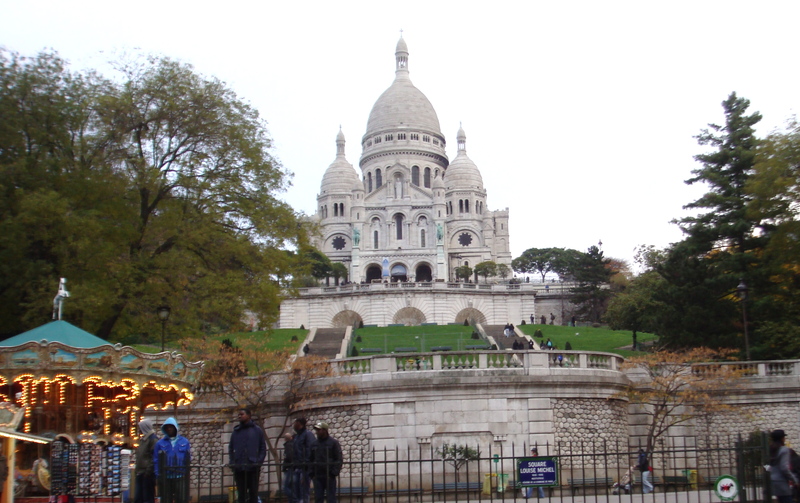 all before – but what I really wanted to do was go to Montmartre! 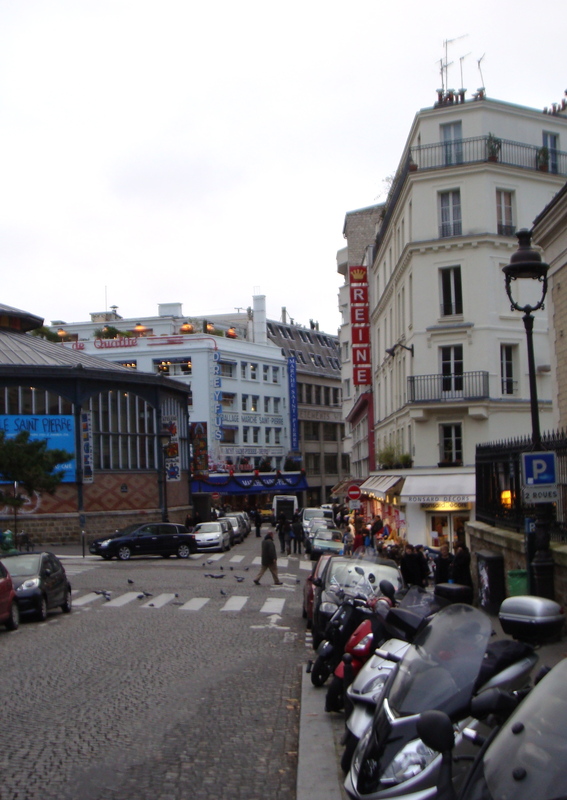 Montmarte, which is in the 18th arondissment is where all the trendy artists hung out at the turn of the nineteenth century like Toulouse Lautrec, Van Gogh, Matisse and Picasso. It is also where the Moulin Rouge is. So all in all, historically pretty bohemian. Nowadays, you can still find the Moulin Rouge here but what you can also find near Anvers Metro station is La Reine Tissus. Fabric Mecca in Paris. The only problem being that I have forgotten a lot of my school level French and I was not having much luck with trying to explain my needs when I was after some Chantilly Lace! 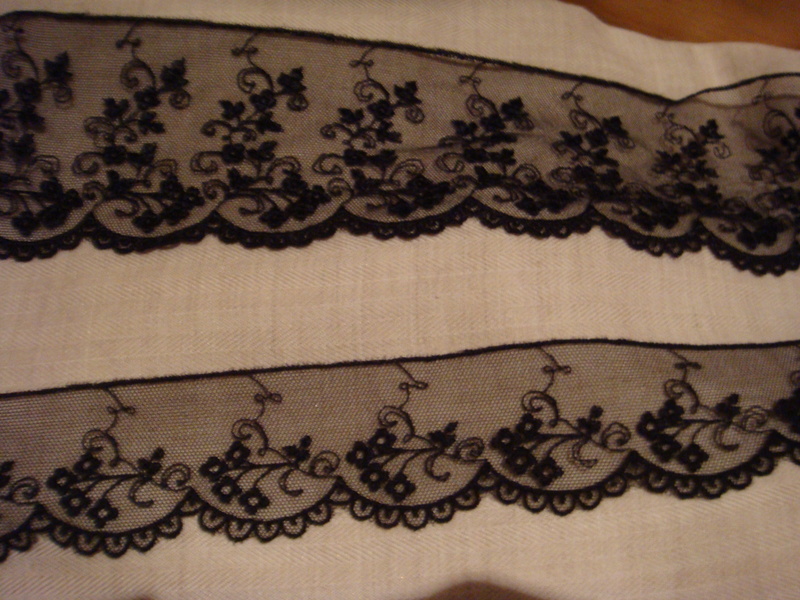 I did come away with a couple of metres of trim in two laces but I was looking for a wide piece of lace. 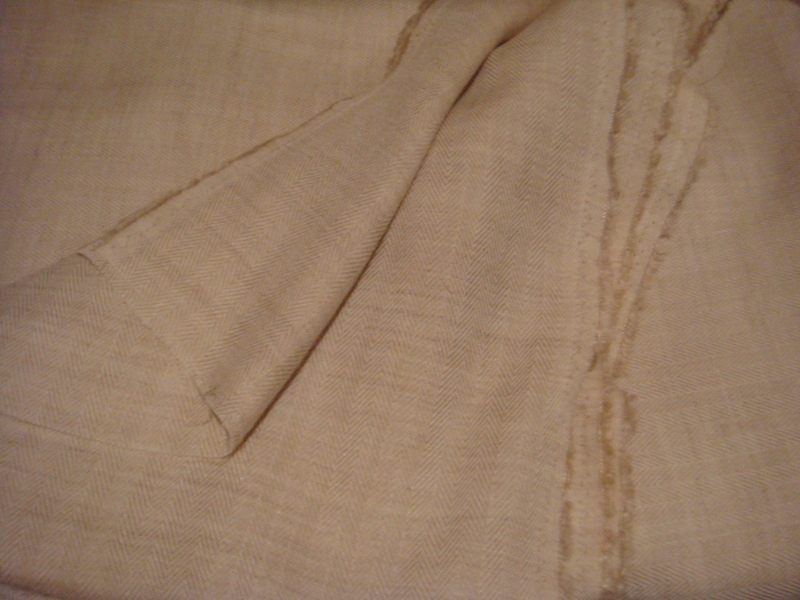 Prices per metre started at around 45 euros upwards… So whilst it is made in France, it is not any cheaper! In and around La Reine Tissus are many other fabric shops, I was limited by time but they all seemed worth going into. I stepped into a neighbouring ‘coupons’ shop which primarily sells remnants. Whilst it’s a bit like going into H&M and scrambling through masses of fabric to find something that you like, they are ordered into what type of fabric they are and you can get decent lengths of things. I came away with two pieces of 3 metres each. One a grey cashmere that is very fine (20 euros) I think I can make this into a dress but I’m not sure because it is so fine, so i’m wondering if you would line this with silk organza? 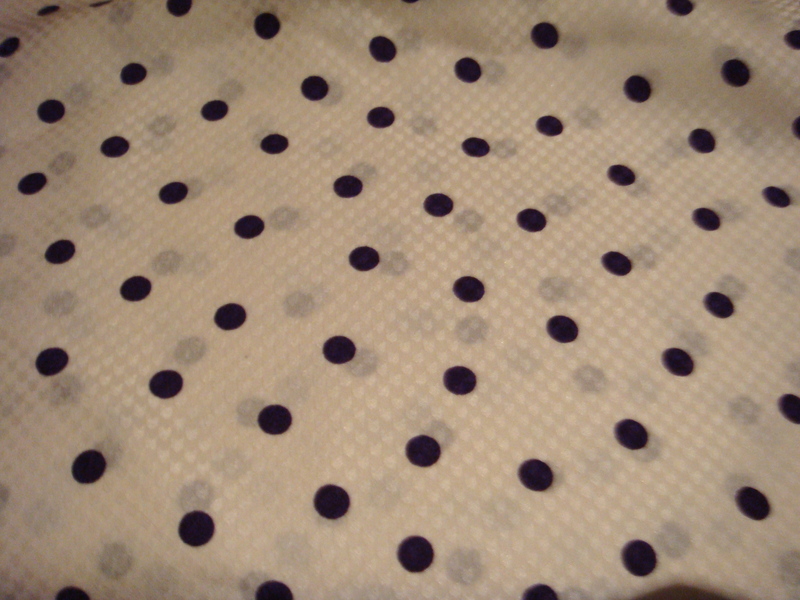 The second piece is a silk jacquard twill with purple polka dots that I thought would look great as the lining for my coat. They had pink polka dots which probably would have matched the material better but I just prefer the purple colour (45 euros). So not particularly cheap but good quality nonetheless. I think what is worth buying though is interiors fabrics. I saw cotton interiors fabric for curtains in La Reine Tissus that I thought was pretty good value. So if I am in Paris again, I will come prepared and armed with the measurements of my windows!! Sounds pricy, but oh so fun! Yes I’m afraid I definitely did not stick to budget! I think I must have had the old pound/euro exchange rate in my head and not quite realised how pricey it was – Oh well I guess ‘what goes on tour, stays on tour’ I suppose!